With a Chase Military Credit Card and Blue Star Deployment Benefits, members receive a 100% refund of any interest & fees incurred during military deployment. There’s no minimum or maximum amount of deployment time or deployment campaigns necessary to claim the 100% refund. 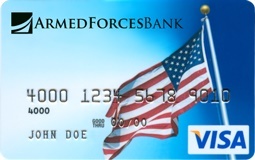 Authorized family members can use the card for interest-free purchases while their loved ones are deployed and the card may be eligible for cash back rewards too. That is one less thing to worry about while being on duty. Chase is committed to serving our Military Servicemembers with their families, and with these Military credit cards, Chase is honored to offer Blue Star Deployment Benefits to assist families when a loved one is deployed. It’s a complimentary benefit for being a Military Credit Cardmember — and it’s exclusive from Chase. Why call them Blue Star Deployment Benefits? The program name comes from the long-standing tradition of hanging a blue star in the window to honor a loved one currently on active duty in a branch of the U.S. Armed Forces. Chase is proud to offer our Blue Star Deployment benefit as a way of showing our appreciation for the sacrifice our troops perform for the United States of America. To take advantage of Blue Star Deployment Benefits, call 1-877-469-0110 for details of the program. If you shop for retail merchandise at your local Exchange, you are also authorized to order from the Catalog and the Exchange Online Store. If you know of anyone who is eligible for the Military Credit Card from Chase, have them call 1-877-469-0110 for details and apply. Pass this post along with others you know who have family members deployed abroad.